DARLENE’s “Fantasy Maidens and Beasts” coloring book debuted at North Texas RPG Con XIII the first week of June, 2016 and was a great success. Inspired by medieval fantasy Role Playing game subjects, the pages depict powerful female figures with their animal helper and Familiars. DARLENE commented afterwards, “It was very heartening to feel the heartfelt appreciation expressed towards my art work.” Most who encountered her coloring book either bought one for themselves or for a special little girl in their life. 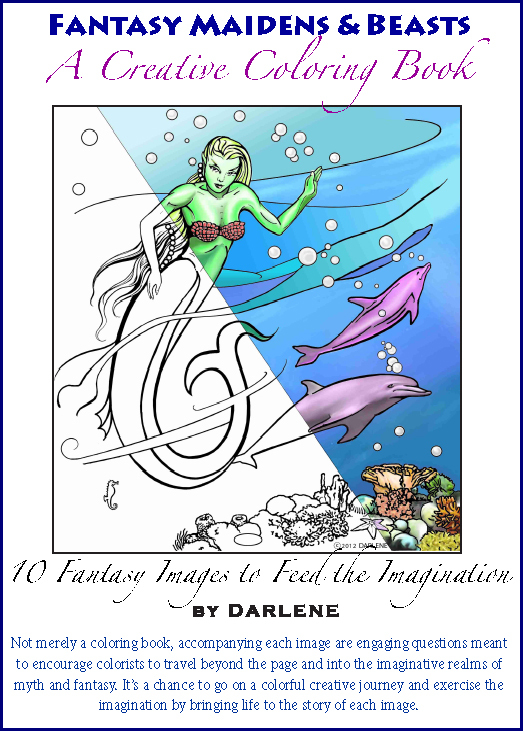 Doubling as a tool to help foster the imagination, DARLENE’S medieval fantasy coloring book is meant to encourage “children of all ages” to imagine their own magical realms because each image contains elements for a story to be created around it. As a part of the coloring process, many pages invite participation in the creative process by inviting the making up of names for the maidens and animals shown. Story promptings even appear on the inside back cover for those who need it. The idea is to exercise the imagination by weaving in a story-line as one colors in the details. 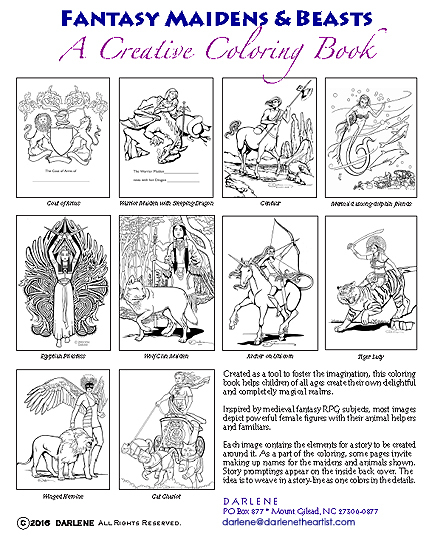 This new coloring book is available at DARLENE’s ARTbyDARLENEStore on etsy.com. Thank you very much for your patronage of the arts.